S.S. Rajamouli denies the reports of making another big budget film based on the Mahabharata. 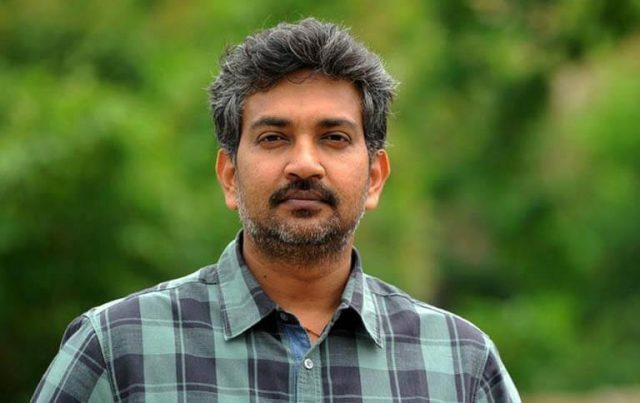 Filmmaker S.S. Rajamouli denied reports that after breaking records with “Baahubali” franchise, he is making another big budget film based on the Mahabharata, saying that he is not working on anything and enjoying his break. “I am not making Mahabharata. I just said that my dream is to make Mahabharata but it is a long time to get to that,” Rajamouli told IANS here. “I haven’t started anything. I am just taking a break. It will be sometime that I will be starting to work on my next project,” he added. Rajamouli attained global acclaim by creating “Baahubali” — which went on to become India’s biggest blockbuster with worldwide earnings of over Rs 900 crore. Starring Prabhas and Rana Daggubati as the male protagonists, the film’s story is about the battle for the ownership of an ancient kingdom between two brothers. It also features Anushka Shetty, Ramya Krishnan, Tamannaah Bhatia and Sathyaraj. The first part “Baahubali: The Beginning” came out in 2015 and the second “Baahubali 2: The Conclusion”, which will have its TV premiere on Sony MAX on October 8, was released earlier this year. Asked about any plans to come out with another part, Rajamouli said at the moment there is no “further” story to tell. “We Astarted the film with a fantastic story, and we finished it with these two films. So, there is no further story. I know we have a fantastic market and I know I will make hundreds of crore (with the franchise) but that wouldn’t be honest filmmaking. “If we have a story, we will be very happy to all get together again,” he added. Rajamouli said he is waiting for a “subject to touch his heart”, and he will start working soon after.